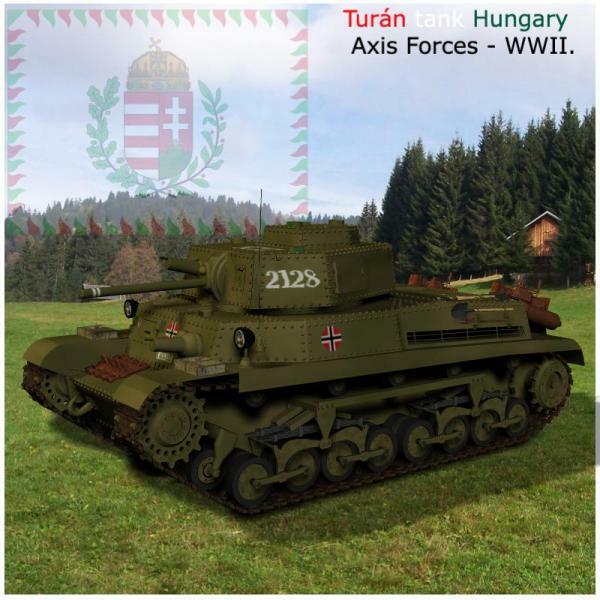 This is a Poser model of Hungarian Turan tank with inside details and 3 color variations. Tracks moving, MG and gun elevating, rotating, hatches opening with ERC on Body. Tools and inside details in Props papus3d/Turan directory. timothyDark (5 years ago) Inappropriate? rdown (6 years ago) Inappropriate? Ankyn (6 years ago) Inappropriate? Excellent work as always, many thank-yous for making and sharing these models !!!!!! Your work is extraordinary. Thank you. Thank you so much! This is really useful. vlgraphics (6 years ago) Inappropriate? Thank you! Your generosity and talent is most appreciated! Excellent model!!! Thanks for generously sharing your fine craftsmanship with us once again. Mig (6 years ago) Inappropriate? Very nice. Thank you for creating and sharing.